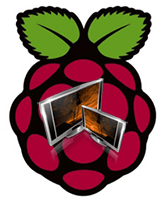 Tvheadend is a Linux program that turns your Raspberry Pi into an IPTV server to stream your TV signal. 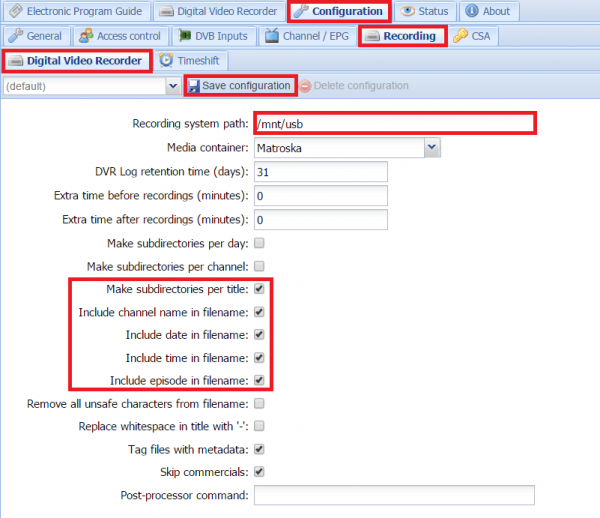 It will use your USB TV tuner signal to capture video and EPG data which you can use to enjoy live OTA TV on your devices. Tvheadend lets you record your favorite shows too as a personal DVR (or PVR) so you won’t miss a show. This sort of IPTV solution on a low powered device like a Raspberry Pi is very impressive. You could even use a Raspberry Pi to serve the streams and another Raspberry Pi 2 (or B series) to receive the stream and play it back anywhere in your house. I used Minibian because it has the necessary kernel modules to work with dvb tuners. Regular Raspbian or Ubuntu/Lubuntu for ARMv7 devices should work as well. The pctv NanoStick T2 DVB-T2/DVB-T supports DVB-T, DVT-T2 and DVB-C digital TV signals so it will work with UK Freeview and pretty much all of Europe, US TV and many other regions around the world. I found the drivers for the pctv 292e tuner firmware here which grabs them from the OpenELEC repository. During the Tvheadend installation you will be prompted for an admin username and password, choose a strong password and I advise using a non-obvious username (i.e. not admin or Administrator). The Tvheadend web interface is on port 9981 so browse to http://ip.address:9981 to start configuring Tvheadend on the Raspberry Pi. You will see this pop up, intially I browsed by my current country of residence but no channels were found, thanks to this post I saw that it is better (yet slower) to scan the entire range. 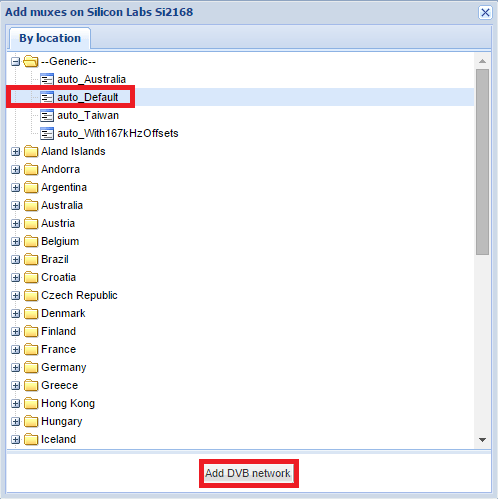 Under the –Generic– area, choose auto_Default and click Add DVB network. Now to see the services it tvheadend and your pctv tuner have found. You can filter by channel and search for titles here, very useful. If you left click on a title you will get a pop up asking you to record the channel. 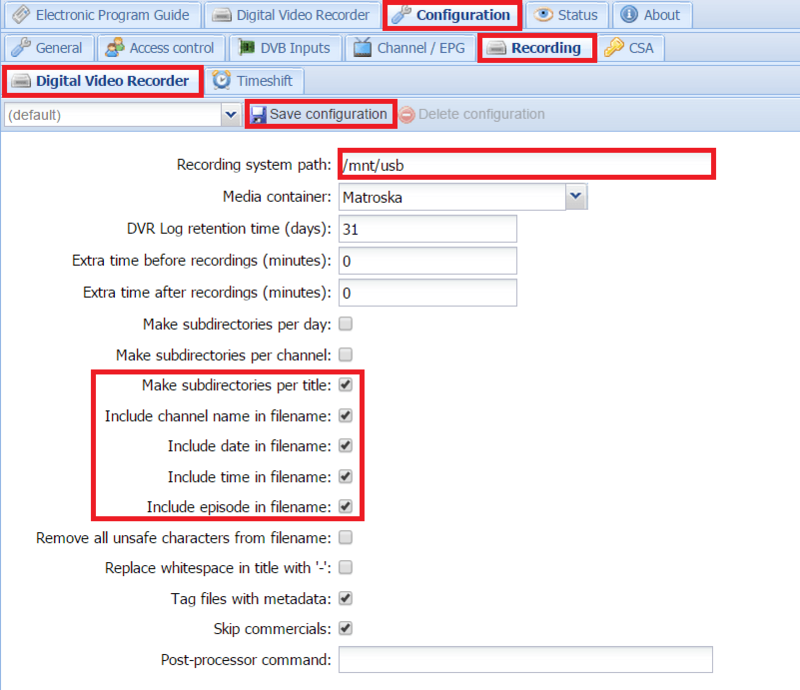 Clicking record program will record this one instance of the show while clicking Autorec will record recurring instances of the show. Separate guides will be made for using your new USB tuner IPTV Raspberry Pi solution in Kodi (XBMC), OSMC and Raspbmc.